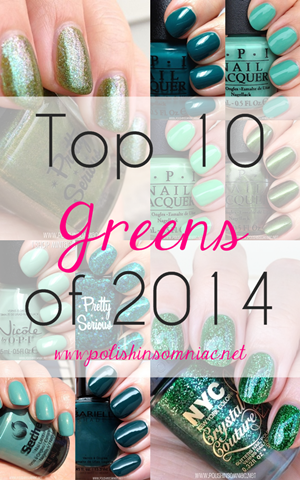 Today I will be showing you two of the four Holiday Glitters from the Nicole by OPI Holiday collection. 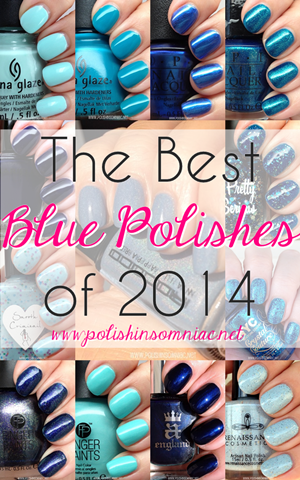 Click on the images or names of the polishes to see full size pictures! Orna-ment for Each Other is a red glitter with a small amount of gold glitter mixed in. Glitter in My Stocking is the exact opposite, gold glitter with a small amount of red glitter mixed in. The glitter is very fine, after three coats it was only slightly bumpy. 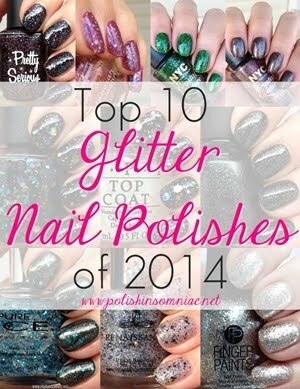 The texture of these remind me of the the Nubar Sparkles collection. I appreciated the fact that the overall appearance of each polish reminded gold and red, respectively. In other words, Orna-ment for Each Other still looked red, not orange! These are limited edition for Holiday 2011. I have already seen them on the shelves at Tar-get! Get them while you can! 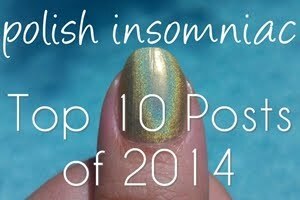 Click here to see other Nicole by OPI polishes that have been featured on polish insomniac. These limited edition Holiday Glitters will be available November 2011 for $7.99 each in the U.S. at HEB, Sears, Stage Stores,select Target locations, Target.com, and ULTA. In Canada, lacquers will be retailed for $10.99 each in Shoppers Drug Mart, Loblaw and Zellers. Nicole by OPI Nail Lacquers and Nail Treatments contain no DBP, Toluene, or Formaldehyde. Nicole by OPI formulas are long-lasting, fast-drying, and salon-quality. For more information, visit nicolebyopi.com. Follow Nicole by OPI on Twitter @NicoleByOPI and become a Facebookfan! Polishes provided by Nicole by OPI, but I didn't get to keep them.